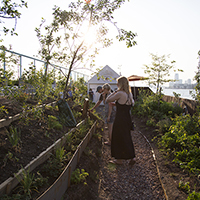 What if healthy, fresh food could be a free public service, and not just an expensive commodity? 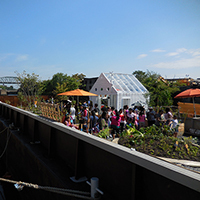 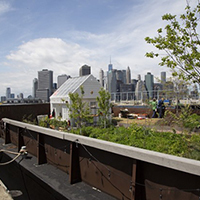 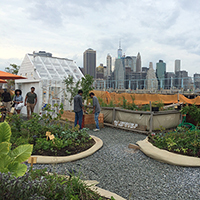 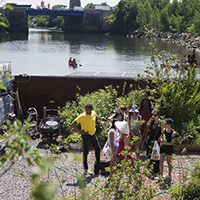 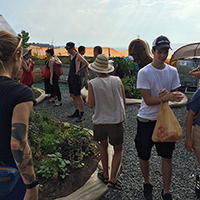 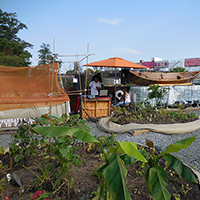 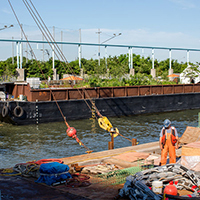 Swale is a collaborative floating food forest dedicated to rethinking and challenging New York City's connection to our environment. 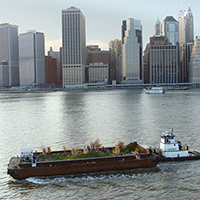 Built on a 130-foot by 40-foot floating platform, Swale contains an edible forest garden. 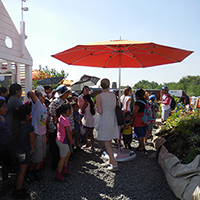 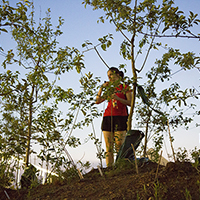 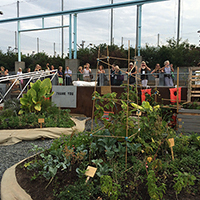 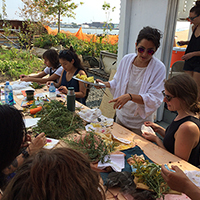 Functioning as both a sculpture and a tool, Swale provides free healthy food at the intersection of public art and service. 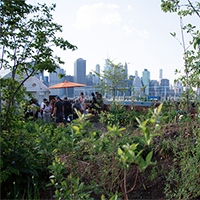 With Swale, we want to reinforce water as a commons, and work towards fresh food as a commons too. 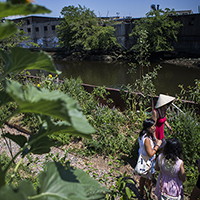 I grew up in an agricultural town where the drinking water was polluted. 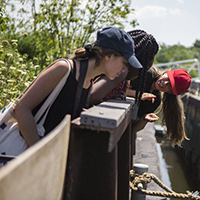 That framed my understanding of water as a precious resource that needed to be protected. 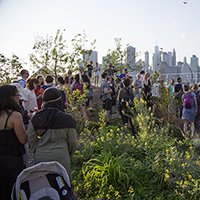 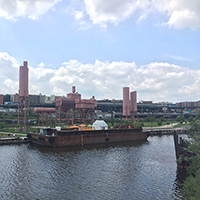 So Swale came out of a need to connect with New York's waterways and public land in order to better care for it, and by proximity each other. 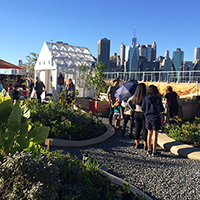 Because not everyone has access to healthy food in New York, I see Swale as a tool to advocate for policy change. 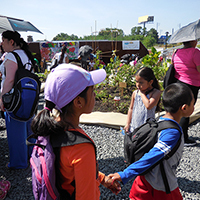 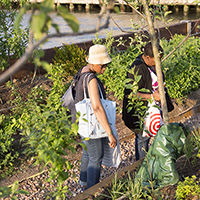 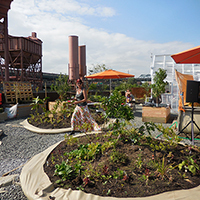 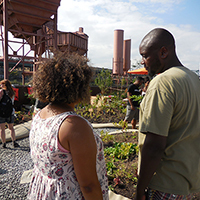 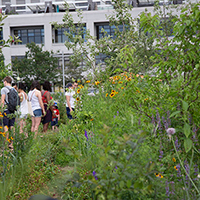 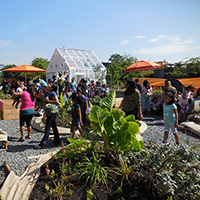 Since marine common law is different from New York City's public land laws, Swale can pave a pathway to create public food in public space. 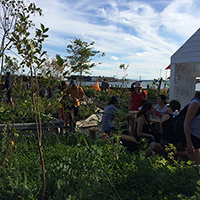 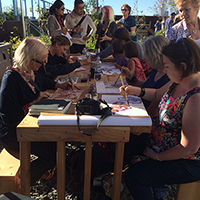 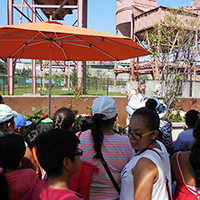 Swale and Urban Field Stations: NYC and NYS Parks "Art, Data, and Ecology at New York State Field Stations"